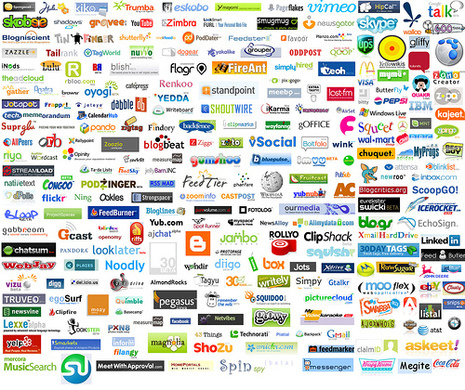 Social media sites are of huge help to every online business marketers. There are hundreds and even thousands of social media sites that may emerge in a split seconds but the question is which one is perfect and beneficial to utilize? The primary reasons why social media sites exist are to keep next of kin in touch, help website products and services to be visible and absolutely assist website owner in bringing revenue. Banner ads and blogging alone can’t really help a lot in optimizing your site. The web offers the most powerful networking opportunities through social media sites which permit users to efficiently target its audience. Like mentioned earlier there are hundreds and even thousands of social media sites that may emerge but actually what every website need are the top most social media sites. 1) Facebook – is the leading social media site which was initially created for students of Hardvard University. It was created by Mark Zuckerberg in February 2004. Last July 2010 it has been reported to have over 500 million active users. 2) Youtube – it’s a video sharing site for almost 6 years. It was launched in the year 2005. 3) MySpace – owned by News Corporation which allows active account user to stay unidentified through utilizing a screename. It’s similar to facebook. 4) Twitter – founded in 2006. It is both a social networking site and microblogging site which allow users to send and read messages. These messages are called tweets. The simplicity and compatibility of tweets arise since it’s similar to SMS. 5) StumbleUpon – founded in 2001, this social media site is designed to uncover the best info in the web and suggest it to various users. 6) Technorati – founded in 2002. It is an Internet Search Engine and a social media site used to hunt blogs with specific contents. Research revealed that it already gained 250 millions social media tags and about 112.8 million blogs and blogger. 7) Digg – was launched in November 2004. It enables users to vote (digg) stories and promote them. 8) LinkedIn – it’s a business oriented social media site launched in May 2003 but was actually founded in 2002. Today, it has over 75 million active users from 200 countries. 9) Del.icio.us – founded by Joshua Schachter in 2003. The site will help users to store, share and discover web bookmarks. 10) Squidoo – is the top 500 most visited site worldwide. It became popular due to its search capabilities. It was launched in October 2002 however the beta tags was started 2 months shortly. To know more about Social Media Sites, visit this page. My 6 months Goals – Rich and Famous? Does Google follow nofollow links? We are a Montreal eMarketing firm specializing in SEO, PPC campaigns, Social Media and WordPress.